HONG KONG (Reuters) - Tencent Music Entertainment has delayed its planned U.S. initial public offering (IPO) until at least November as the owner of China's most popular music apps prefers to wait for global stock markets to stabilise, three sources said. 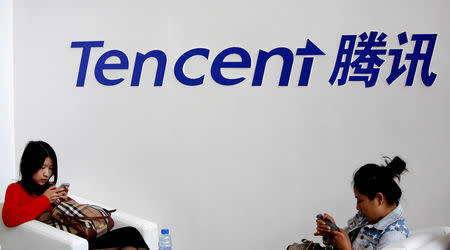 The music arm of tech giant Tencent Holdings <0700.HK> is expected to raise at least $2 billion (£1.5 billion) and was originally planning to launch its offering as soon as next week, the sources said. However, Wall Street on Wednesday suffered its worst one-day drop in eight months, with the S&P 500 <.SPX> down 3.29 per cent. The index dropped a further 2.06 percent on Thursday. "Are they really going to launch into this window?" asked one source involved in the deal, adding that the company had plenty of cash. "Why try and jam something out now?" Chinese shares have also fallen, with the CSI 300 index of mainland Chinese blue-chips <.CSI300> down 4.8 percent to a 27-month low on Thursday. At $2 billion, the IPO would be one of the largest by a Chinese company in the United States this year, behind the $2.4 billion raised by video streaming company iQiyi <IQ.O> in March but ahead of the $1.6 billion garnered by online group discounter Pinduoduo <PDD.O> in July. The number of Tencent Music shares to be sold were not disclosed and potential valuations were unclear. Its Swedish music streaming counterpart Spotify Technology SA <SPOT.N> is currently valued at around $27.1 billion.